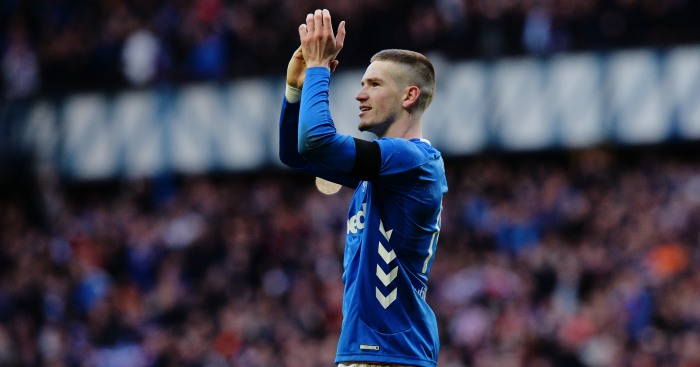 Ryan Kent has managed to get both Rangers and Liverpool fans excited with his performances on loan at Ibrox this season. For a number of years Kent has been a highly-rated prospect, but while loan moves to Coventry and Barnsley saw the winger impress, temporary switches to Freiburg and Bristol City appeared to stunt his development – at least until he joined Steven Gerrard in Glasgow. We’ve taken a look at how the 22-year-old has gradually regained his confidence this season. As aforementioned, Kent made his reputation as an exciting winger during loan spells at Coventry City in League One and in particular during a season at Barnsley in the Championship in which he made 47 appearances in all competitions. Having signed a new long-term contract at Anfield, a temporary switch to the Bundesliga with Freiburg presented an intriguing test for the Oldham-born flyer, but he returned to Merseyside after his season-long loan was cut short in January after just 244 minutes of first-team football. Likewise, a subsequent move to Bristol City for the remainder of 2017-18 was hardly more productive, with the Robins ultimately paying a £200,000 fine for not giving Kent the agreed amount of appearances. Within a season Kent had gone from moving to the Bundesliga to being a Championship reject, and so it wouldn’t be outlandish to suggest a campaign at Rangers was make or break for the player. Given Rangers’ early entry into the Europa League qualifying rounds, Kent made his competitive debut for his new club at the end of July, less than two weeks after the World Cup final. But the winger’s first six games passed by before he registered a goal or assist under Gerrard, and even then his maiden assist came via a shot which was parried to the feet of Alfredo Morelos in a 3-1 victory over Maribor in September. “I think he required some time to gauge exactly when he should be aggressive and when not to,” Inside Ibrox expert Joseph Sinke recently told Rush The Kop. Since that first assist, Kent has gradually settled into his role in the team and has been consistently contributing in front of goal. A week after that Maribor victory, the England youth international bagged his first Rangers goal, playing a couple of one-twos before confidently sliding the ball home in a 4-0 win over Dundee. Goals and assists have steadily flowed since, including a bizarre effort against Hearts which saw Kent dribble the ball over the line and a powerful close-range finish against Kilmarnock which almost broke the net. At the time of writing, Kent has provided five goals and five assists for Rangers in all competitions, at a rate of one every 218.5 minutes – but Gerrard is keen for the youngster to keep improving. “He has been excellent for us,” he recently told Rangers’ official website. “He is in good form, he is happy, but I am going to push him. Fitness issues stalled Kent’s campaign somewhat as a hamstring injury ruled him out for the majority of November, and he missed a chunk of December after aggravating the problem in his comeback appearance against Dundee. He was then thrown in at the deep end by being handed a start in the Old Firm Derby at the end of December, and responded by playing the full 90 minutes and creating the only goal in Rangers’ first win against Celtic for six years. “It was definitely the best feeling I have had in football, just with the scale of the game and the result with what it meant to the fans and all the players,” Kent said, as quoted by the Herald. He added: “I only trained two times before that game so it was touch and go to see whether I would get back for the game. I managed to, and I managed to play 90 minutes as well. Perhaps one of the biggest and most important aspects to Kent’s development has been that of his personal growth off the field, as touched upon recently by Gerrard’s No.2 and another former Liverpool hero in Gary McAllister. “He was obviously electric, and I could see how some of the loan moves he had had helped, because he was young and raw,” McAllister said. “But you could see the massive potential. “I can also see the benefits of him having Michael Beale, Steven Gerrard, Tommy Coulson, Jordan Milsom – and I was there for that short period – so the biggest difference here is he has four or five familiar faces [from Liverpool]. “He’s gone from someone with the confidence levels of quite a shy young man, to someone who has become a man. The Old Firm game clearly stirs something within Kent, who marked the most recent fixture by scoring an excellent equaliser for 10-man Rangers and also somehow managed to avoid a red card for punching Celtic captain Scott Brown in the face. 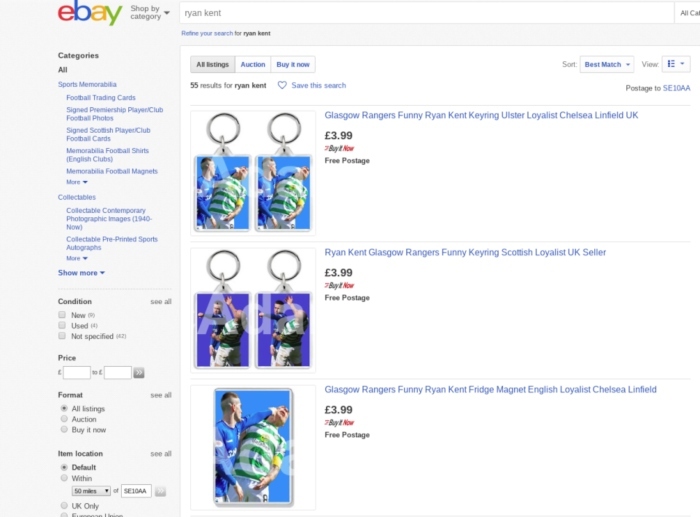 Whether the photo was an accurate representation of what actually happened or not, it’s proved so popular among Rangers fans they’re now selling merchandise adorned with the picture on eBay. Having been named Barnsley’s Young Player of the Year in 2017, Kent has followed that up by winning the same accolade at Ibrox, after which Gerrard shed more light on the 22-year-old’s personality. “Ryan’s a different player to the one who arrived here,” he said. “He’s come out of his shell. If you look at him from afar, he can be misunderstood. People think he’s got this confidence and swagger about him. “But he’s a lovely kid, who’s good fun. He’s different. He’s got a pet snake, wears baggy tracksuits and gets a tattoo every five minutes. “That’s fine by me. He’s different to other people but, having got to know Ryan the way I have, I absolutely love him. “I trained with Ryan because he was around Liverpool’s first team at 17 or 18. It’s an eye-opener when he’s running at you, especially when you’re coming into your 30s. “His memories are probably of me kicking lumps out of him in training. My memories are of him bursting past me but now our relationship is different, obviously. I want to protect him, help him grow and offer him a platform here to express himself. The big question now is whether Rangers can potentially hold on to Kent for a longer period or whether the attacker will return to Anfield at the end of his loan spell. But Kent himself as admitted he is open to extending his stay at Ibrox permanently. “It’s something I’m considering,” he said. “It’s a chat Rangers are going to have to have with Liverpool because I still have three years left on my contract there. So it’s a bit out of my hands.